Courtesy of Singapore Swimming Association. Stephen Widmer is an extremely accomplished 50-year-old Swiss swimming coach who currently serves as the National Head Coach and Performance Director for the Singapore Swimming Association where he oversees both pool and open water swimming. 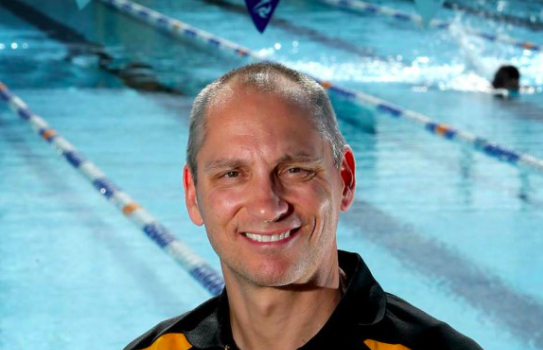 Widmer has coach Australian Olympic swimming champions Libby Trickett, Leisel Jones and Jessicah Schipper, and coached swimmers to set 20 world records and win 16 world championship titles over the course of his career. He previously was the State Head Coach of Queensland with Swimming Australia. "When I started coaching swimming, there were only two full-time professional swimming coaches in Switzerland." But his passion has taken him from his native Switzerland to Olympic and world championship success around the world. ​Upon his move to Singapore, he explained his vision. "I am delighted to be given this opportunity to become the National Head Coach of Singapore Swimming. I am impressed with the vision and the ambition of Singapore Swimming Association and I am looking forward to the challenge of grooming more world-class coaches and athletes as Singapore strives to become a top swimming nation." Lee Kok Choy​​, President of the Singapore Swimming Association, said, "We launched our Swimming High Performance Plan earlier this year. The plan was a blueprint for long-term development and success for swimming. In line with that plan, we were looking for someone who would be able to achieve the objectives that were laid out and carry on our vision of turning Singapore into a world-class aquatics nation. After long discussions with the team, we believed that Widmer's caliber and proven track record in grooming world-class swimmers and coaches would allow us to reach that goal. We would like to warmly welcome him into the Singapore swimming fraternity." Widmer and his fellow coaches will participate in the Liberty Wave, a 3-day open water swimming festival this weekend at East Coast Park in Singapore. Sponsored by Liberty Insurance and organized by the Singapore Swimming Association, the event will put open water swimming back on the local radar. Liberty Wave will include a full day of presentations and 1 km, 2 km and 4 km races. Organizer David Tay explained, "One aspect of Liberty Wave is Wave Kids, a 300m swim targeted at kids 7–12 years old in the open water. This swim is meant to allow kids to familiarize themselves with open water conditions, with lifeguards on kayaks and safety boats ensuring their safety." “We are very happy that Liberty Insurance took the initiative to work with us to revive open water swimming in Singapore. Although open water swimming only became an Olympic event at the 2008 Beijing Games, the activity of groups of people having fun swimming in the open water has been active for many years now, especially overseas. It will be very inspiring to see this sport grow in Singapore, and for more Singaporeans to be confident and efficient to swim in the open water. I would especially encourage all parents to sign their kids up for the challenge,” said Singapore Swimming Association president Lee Kok Choy. For more information on this weekend's event, visit www.libertywave.sg.